CooksRecipes has quality, kitchen-tested recipes for pork cutlets and medallions that you can count on for accuracy and deliciousness. 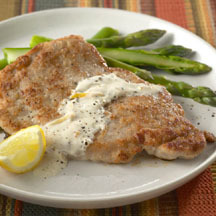 This recipe turns ordinary fried pork cutlets into a company-special entrée topped with a finishing touch of creamy lemony sauce. 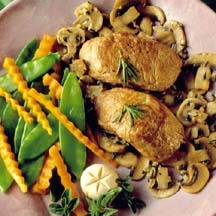 This dish is easy but tastes impressive. Tip: You can use apple juice instead of the sherry called for in the recipe. 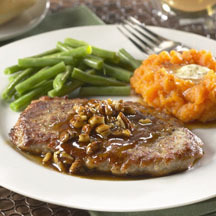 Straight from Dixie, these sautéed pork cutlets are a Southern delight glazed with honey and butter and graced with pecans.